The "K" intake manifold for the early VW Beetle engines is arguably the rarest of parts in these cars. Like all engine parts, that suffer from "wear degradation" as the cars are driven. 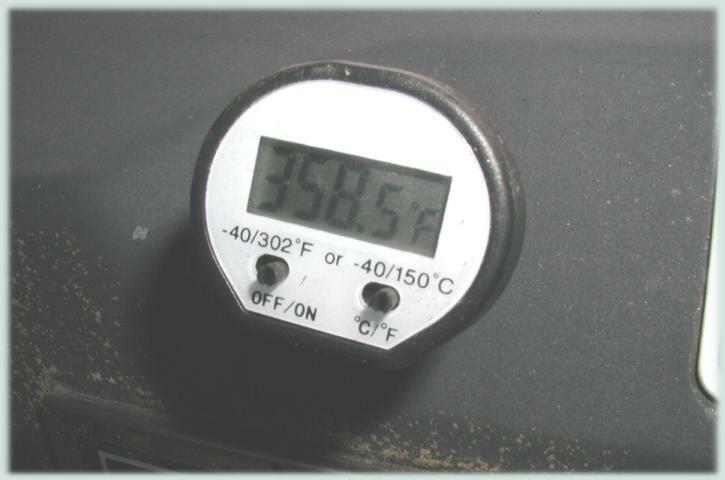 Heat cycling and general environmental conditions were not the friend of the K manifold, especially with its very thin walled heat riser tube. 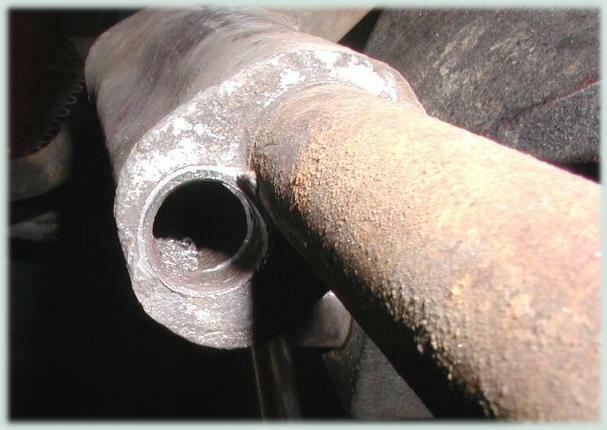 All too often, when these rare intakes are found, the heat riser tubes are rusted, perforated or missing all together. 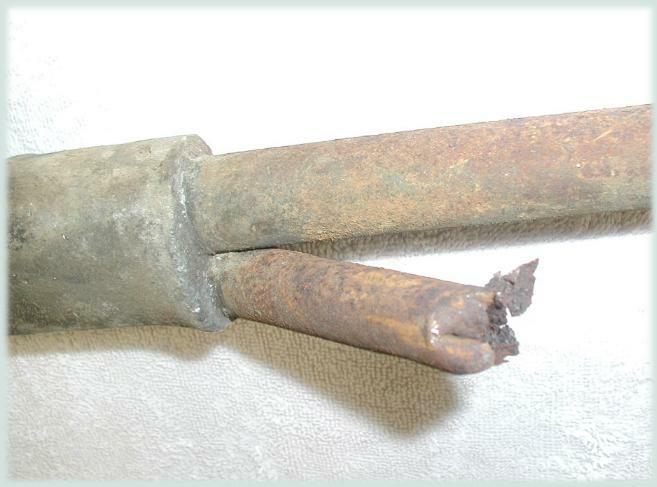 Even if the tube is intact and solid, it is often clogged with carbon deposits. First, let's understand exactly what a heat riser is. It is metal tube through which hot exhaust gas circulates and whose function is to warm the intake manifold (namely the upper, mid rail below the carb) and allow the creation of warmer, denser fuel/air mixture to the heads. 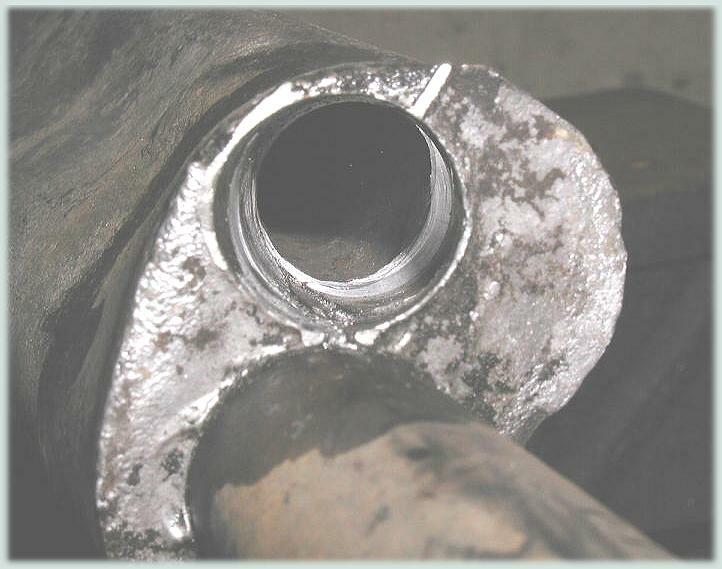 Exhaust gas flows from the right side pipe, which is connected to the muffler exhaust connection flange on the #2 cylinder; to the left side where the thin pipe in the muffler goes into the expansion chamber. The reason the gas flows this way is that the right side connection, right off the left head, is at a high pressure area, the thin pipe behind the left pea shooter is a lower pressure point. Incidentally, since the gas looses its ability to carry carbon particulates as it cools, most of the carbon build up is usually found on the left side of the riser tube. 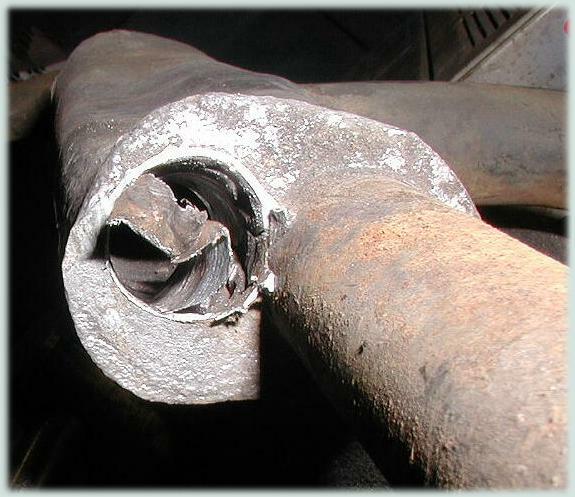 Thus, the right side of the pipe is the hotter end, where metal breakdown and perforation most often occurs. 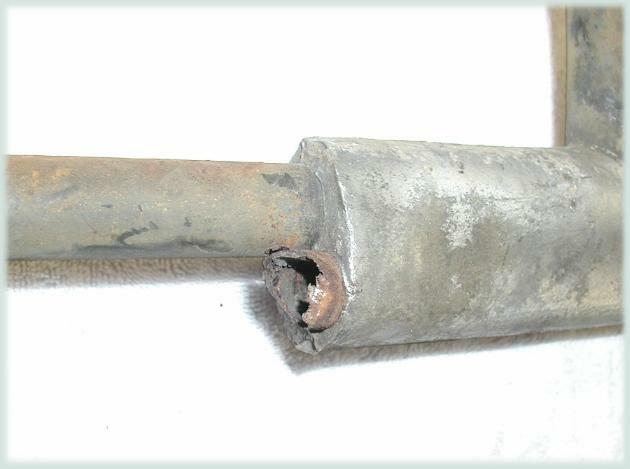 The actual intake tube of the intake (the thicker tube) seldom suffers and damage. Zarwerks has sourced the materials to reproduce the heat riser tubing and restore damaged manifolds. We can repair or replace the heat riser ends, or replace the entire heat riser all together. This work requires some special tooling and careful metalwork and patience. 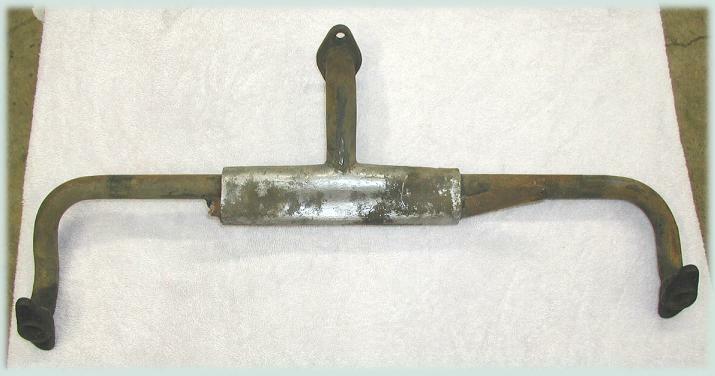 We can also restore the even rarer still jacketed K manifold that was used from March 1950 until 1952. Restoration costs are based on the original condition and the labor and materials needed to restore them. Most restorations fall into the $150-$400 range. E-mail us for more information on this service..
We also manufacture and sell reproduction "K" intake manifolds outright. Rare, but hardly usable, this is the condition in which many of these intakes are found. The heat riser ends are completely rotted off of the center casting. 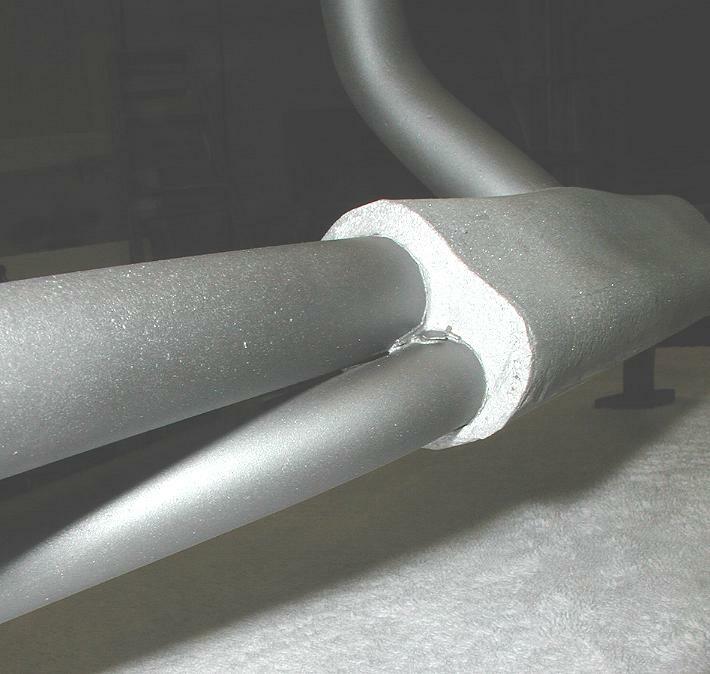 Here, the thin metal originally used for the heat riser tubing is evident. A bit more of the right side leg is intact, but for this intake, both legs will be completely removed and new, thicker Zarwerks heat riser legs installed. The first step is to remove the old tubing completely. This is a delicate process that involves first cutting the existing tubing off, the drilling out what is left of it inside the aluminum casting. With careful use of the proper sized drills and other attachments, the tubing section inside the casting can actually be worked out. The aluminum cast actually has no bonding properties to the steel tubing. 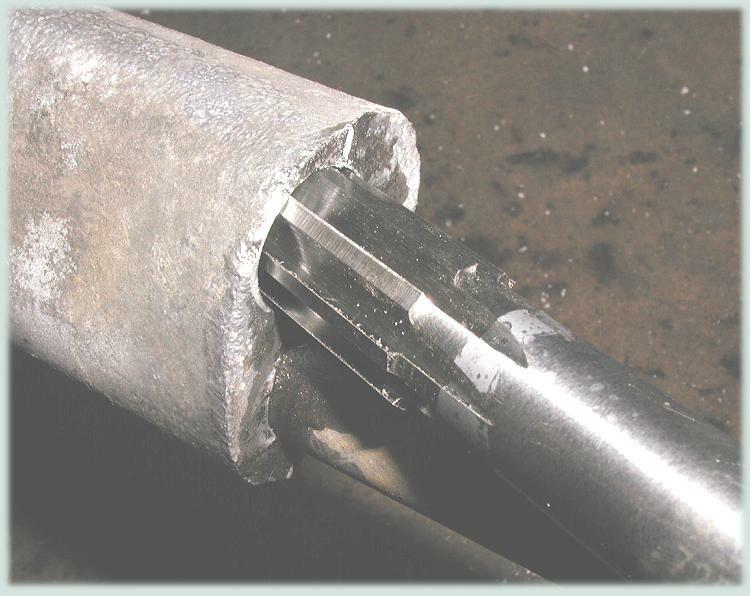 Once all of the old tubing is removed from the casting, a straight flute 18mm reamer is used to bore the cast opening clean and square for the installation of the new heat riser legs. Patience is required here as the casting can easily be cracked of too much force is applied. Due to the camera angle here, the depth of the bore is not seen very well. The newly reamed bore is a full 27mm deep into the casting. With the casting bores both reamed and ready for the new legs, the intake is bolted to the alignment fixture. 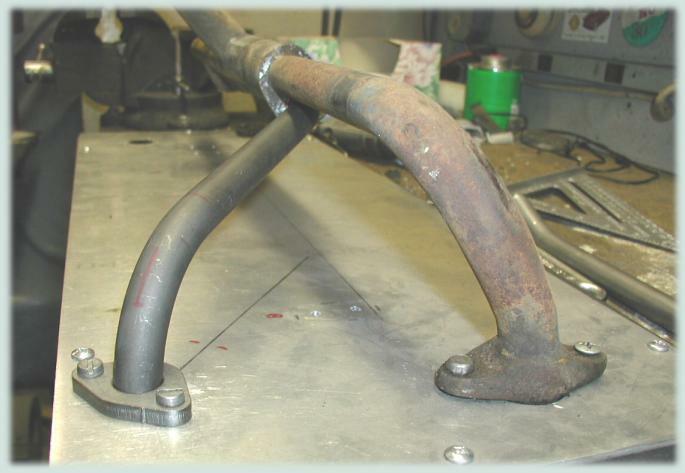 Using bend specifications from the original tubing, a new hydraulically bent right side heat riser leg is fitted up. 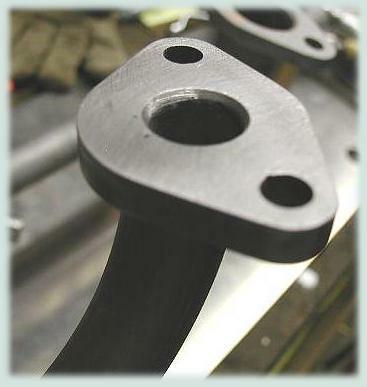 The alignment fixture insures that the new flange is in the exact location relative to the intake tube ends. 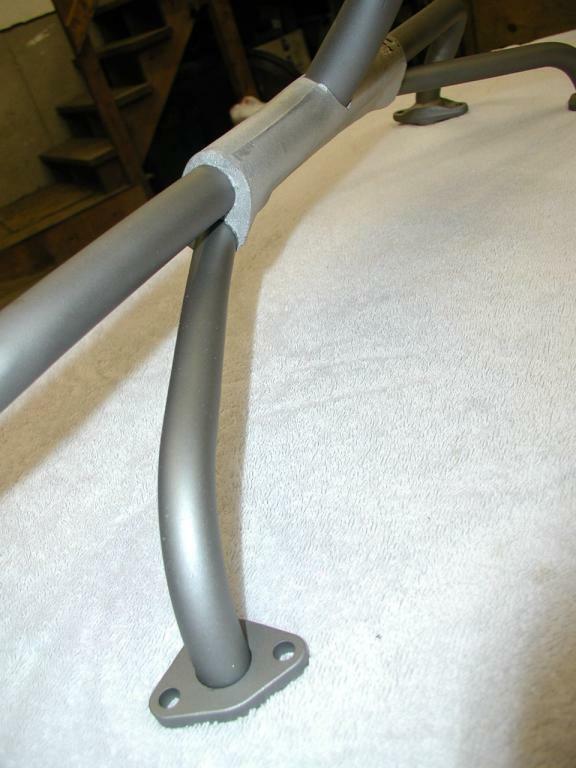 Zarwerks uses 2mm thick seamless steel tubing for our heatrisers. This is more than twice the thickness of the original tubing, yet the outside diameter is exactly the same. These heat risers will not rust out again! 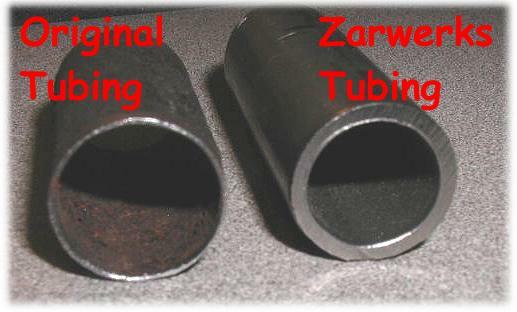 An comparison between the original heat riser tubing and ours. Similarly, the left side leg is constructed and fitted up. 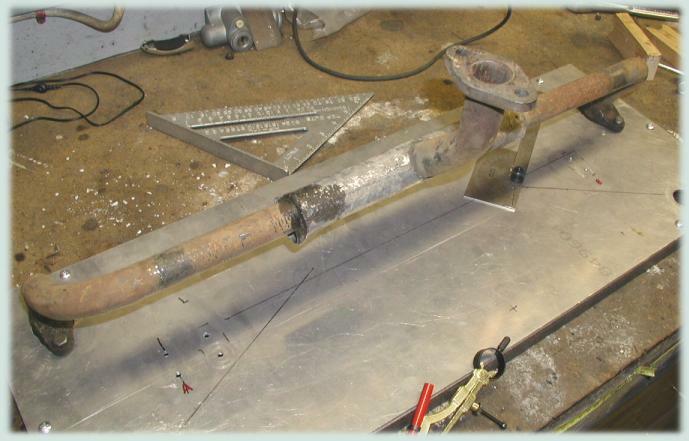 Once all of the dimensions are verified and double checked, the heat riser tubes are welded to the flanges from underneath the fixture with the MIG welder. 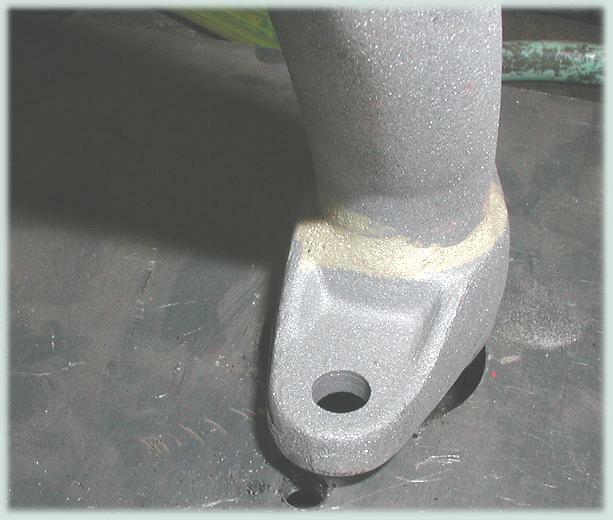 After this, the heat riser legs are epoxied into the the aluminum casting using a special high temp, two part epoxy. After media blasting the intake is looking much better. It is silicon carbide blasted, and then blasted again with glass bead to give the aluminum casting the correct smooth surface. 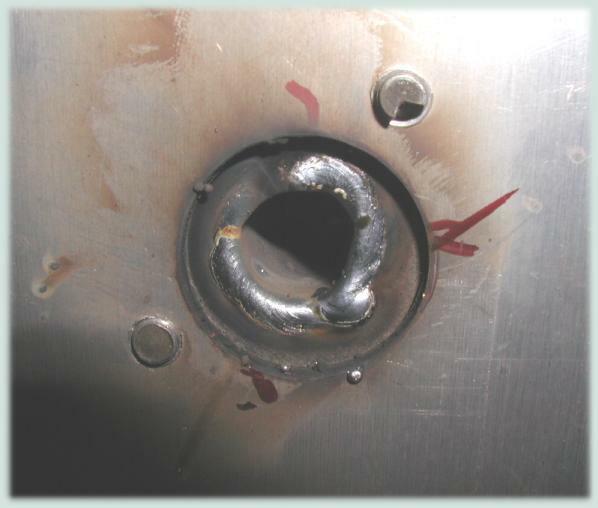 The weld bead under the heat riser flanges is ground smooth. Note that unlike the later intakes where the end castings were pressed on, the ends of these early intakes were brazed on with brass rod. This is not seen once the intake is painted. Also of interest is the finish level of the aluminum casting. 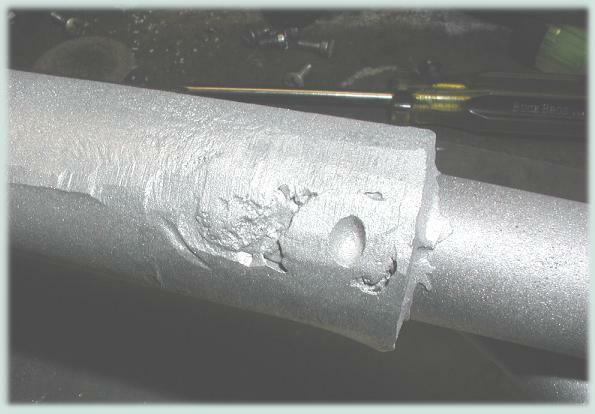 Here there is evidence of a mold breach and air bubble when the cast was made. Voids and grind marks are seen. This is very common, if not consistent on these early manifolds. Also note the "flash" of aluminum where it escaped the mold union with the intake tubing. After painting, the intake is cured at 350-375F for one hour. The aluminum jacket is masked off and is not painted. Original intakes were either unpainted, or received a quick, low quality spray of gray paint that quickly burned off the hot part of the riser as soon as the car was operated.VW used no true high temperature paints in the 50s.